Just got this info from Hormazd's tweet. Shock news! 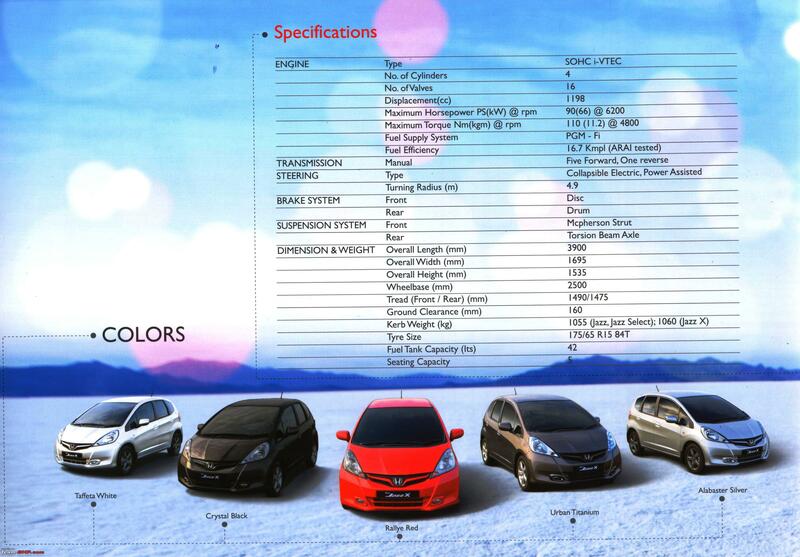 Honda cuts Jazz price by upto Rs 1.75 lakh. Will the price war extend to the Brio? I had seen the Brio thread with discussions on this topic. Mods, could you merge all those posts along with this thread? 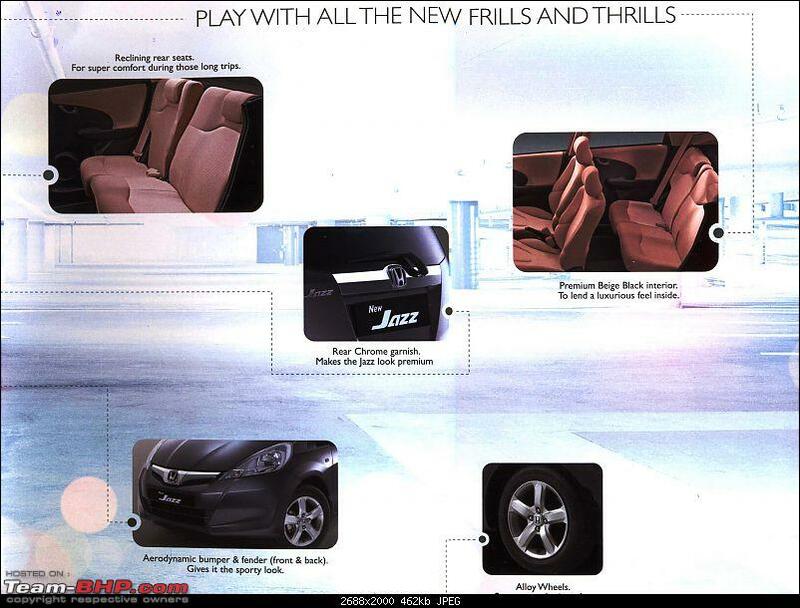 Actually,this is where the Jazz should have been in the first place.Now,see how it kills the i20 petrol market.A Honda is always desirable than any hyundai at same price,period! Yes it's true, and I have confirmed it from my local Honda dealer. All prices ex-showroom, in CG. No official announcement has been done by Honda regarding this price cut as of yet. The Select's price comes to 6.7L OTR, and it's a steal now! Last edited by RavenAvi : 11th July 2011 at 20:22. This should have been the bracket in which they should have actually launched it. Hope they are not cutting on anything to meet this price tag. Will Civic be the next in line? R.I.P i20 petrol and friends! That's very-very competitive pricing.Good to see Honda so aggressively jumping into the battle of numbers.First the City and now the Jazz..Just perfect move by Honda.A diesel engine would be an icing on the cake. Now the need of the hour is a diesel powerplant. Not a price slash. But 1.75L You gotta be kidding me. I take my previous statement back. If this is the case atleast the sales may rise to 2K mark. Last edited by oxyzen : 11th July 2011 at 20:35. I just cant smile enough on reading this. Finally Honda has arrived to the party. Finally we will get to see jazz in huge numbers on the road. Awesome decision by honda. Only troubling thought is the poor people who bought there jazz recently. Man they must be ready to kill honda. Its quite a massive price cut. Though on the expected lines, that's a shocking news from Honda. This is where the Jazz should have been launched in the first place. 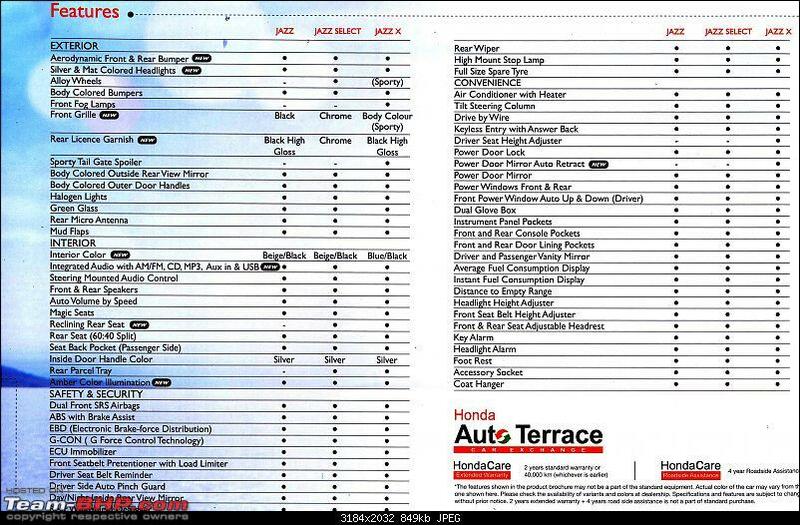 Honda decided to kill their model all by themselves with their over-ambitious pricing. 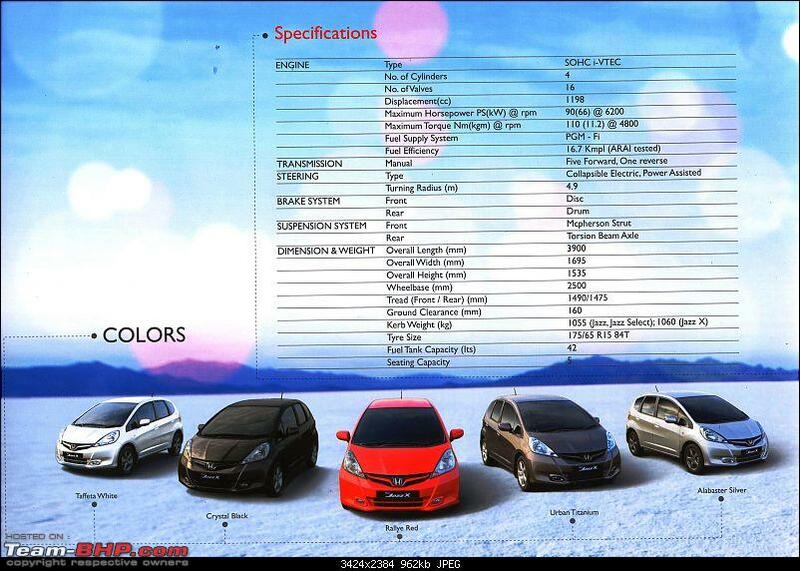 At this price during launch, the Jazz would have made the i20, Polo and Punto run for cover. But now that those models are well-established, I doubt whether this will make serious inroads in the i20 and Polo's sales. Punto may well be affected by this. But, spare a thought for all those souls who had paid so much money and bought the Jazz until now. If I was one of those, I would curse Honda over this! First, they ridiculously over-price the car and then, they turn their back on their staunch followers who still went and bought the car with that exorbitant price. Very bad! Finally Honda is all game to take up the competition. And hats off to their guts to offer a 1.5L discount straight ! Man, cant really wait to see Brio's pricing. I am sure it will be a killer pricing. Next one in line might be the Civic. Waiting for the Sales figures of July now ! Edit:: Is this the biggest price cut for any car less than 10L which is still under production [I mean price cut apart from clearance sales after the production stopped]? Only troubling thought is the poor people who bought there jazz recently. Man they must be ready to kill honda. I believe this will lead to a better re-sale value for all the existing users? Much better than they already had? Last edited by swiftnfurious : 11th July 2011 at 20:41. Why do you think Hyundai wont cut i20 prices? Offcourse they need to cut i10 prices before that to position them right! Dammm! Its hard to even think how much was Honda earning per car given that they are still earning even after reducing 1.75 lakhs! Well established or not, i20 will feel the heat. 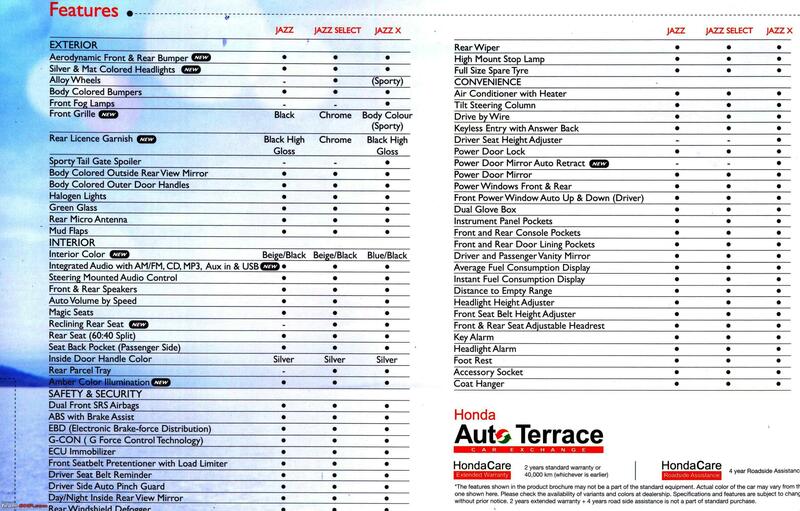 Atleast Honda doesn't have any of the steering or the A/C issues and small 1.2 liter VTec engine is a gem. Last edited by akhilesh : 11th July 2011 at 20:44. Hyundai will sure cut the prices but then it wouldn't be in lacs for sure.Every manufacturer will suffer from the cut prices of the Jazz.Now,what Hyundai can do is offer diesel at lower prices.That would certainly heat up the hatch-segment.Now we are really spoilt for choices. Anyone could confirm if these slash in prices are permanent or for a limited period of time.I still can't believe Honda has done that.1.75 lacs is a CBR250R ABS money.